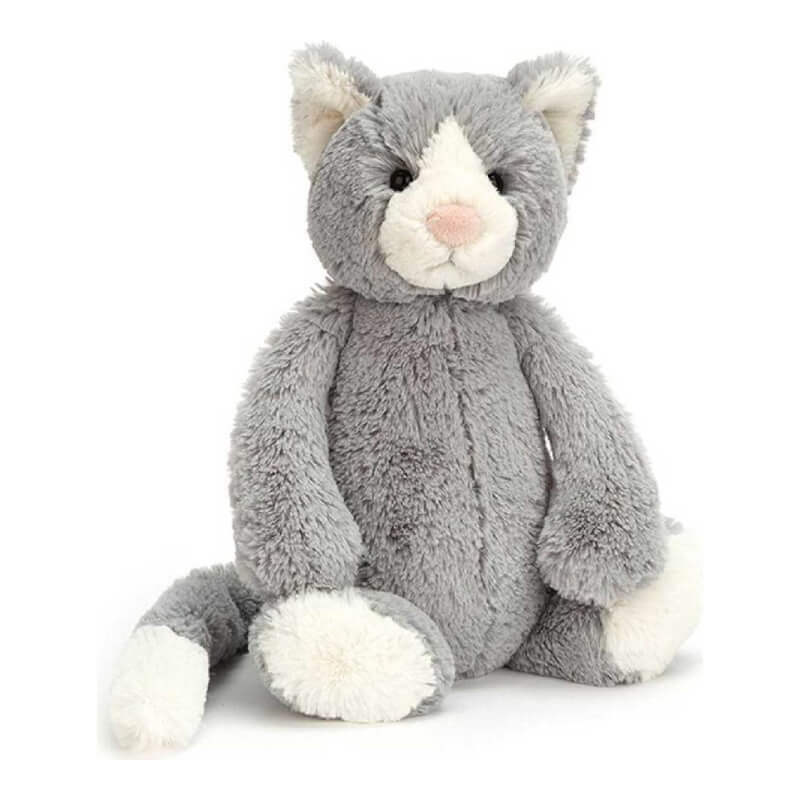 Once you feel how soft this Jellycat Bashful Cat is, you will know why Jellycat is one of the most popular plush toy around town for babies, kids and adults. With scrummy-soft, silky smooth Jellycat fur mean that with just one cuddle, you’ll never want to let go. Irresistibly cute and a perfect unisex present for boys or girls. They'll want to take her everywhere! So, so soft and ever so pretty, Bashful Cat is a brilliant soft toy buddy for bedtime. This dreamy cat, with her cloudy-soft fur and sugar pink nose, is just so relaxed, you can almost hear her purr! She adores having her paws stroked and plump tummy tickled, in return she'll give great nuzzles any time day or night.